The U.S. military conducted bombing drills recently in the mountains of Missouri to practice hitting targets in North Korea. According to U.S. website the Aviationist on Tuesday, the U.S. Air Force practiced night-time air raids at Whiteman Air Force Base in Missouri involving three B-2 stealth bombers, while radio communication was overheard referring to "North Korea's leadership." David Cenciotti, who runs the website, said, "Was the exercise aimed at simulating a raid on a North Korean 'VIP'? Most probably yes." 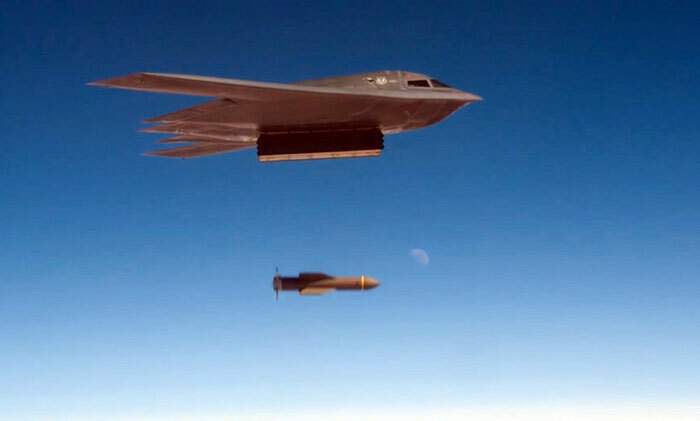 A B-2 stealth bomber drops a "bunker buster" bomb, in this photo provided by Whiteman Air Force Base in Missouri. The website also showed footage of the B-2s dropping a GBU-57 "bunker buster" bomb, which is believed to be able to penetrate 200 feet of concrete. The bomb could be used to take out North Korean leader Kim Jong-un if he hides inside an underground bunker during a U.S. aerial bombing attack. 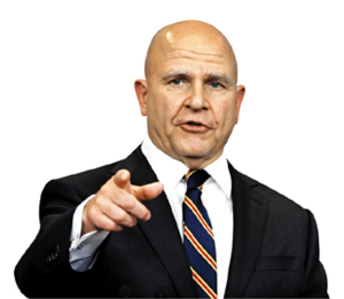 Amateur radio operators monitored the operations and claim to have heard the words "a command post possible [North Korean] leadership relocation site." The mountains of Missouri closely resemble the topography of North Korea.